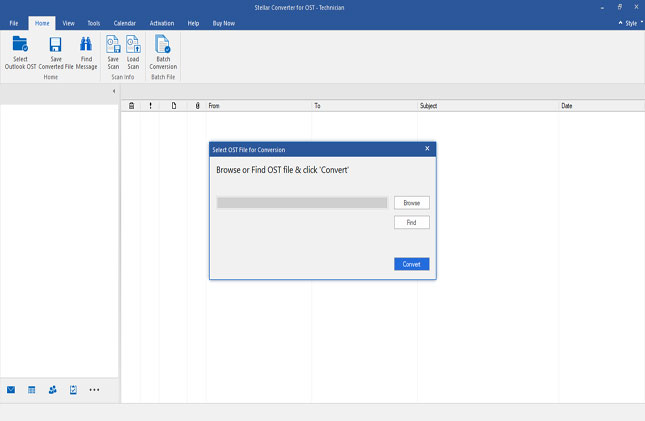 The Stellar Toolkit for Outlook software is a useful utility, which is especially designed to manage Outlook PST files from a single console. With an interactive and lucid interface, the software is studded with six powerful Outlook management solutions: Repair PST, Split PST, Compact PST, Merge PST File, Recover PST Password, and Duplicate Mail Remover. Stellar Undelete Email for Outlook is a perfect tool for all those, who had lost or deleted their vital emails from MS Outlook or Outlook Express mail accounts. Software supports both the mail clients for email recovery. 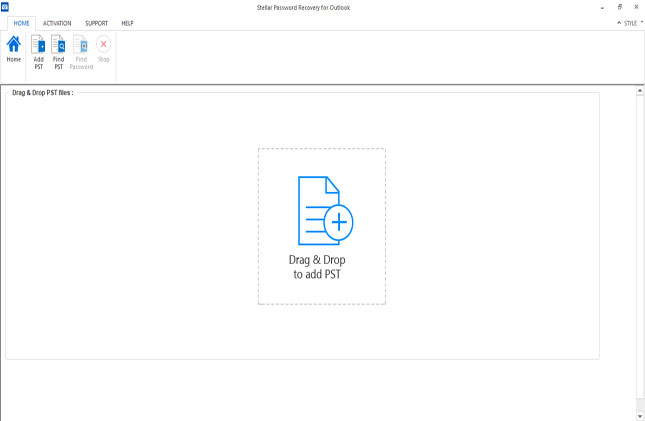 You can select either the PST or the DBX file and scan it to recover the lost mails. The Split PST option of the software helps in reducing the chance of PST file corruption due to oversize. 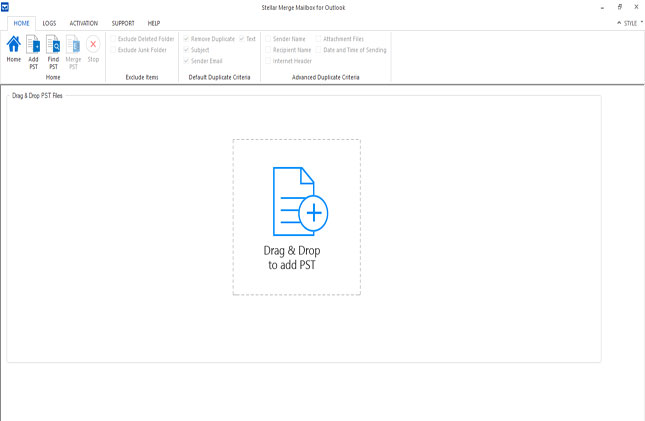 A heavy PST file can be easily split into multiple manageable parts using this option. The splitting can be done on the basis of various factors like Date, Folder, Size, etc. Moreover, the process does not cause any data loss or any change in data format. This option is very useful in further reducing the PST size. 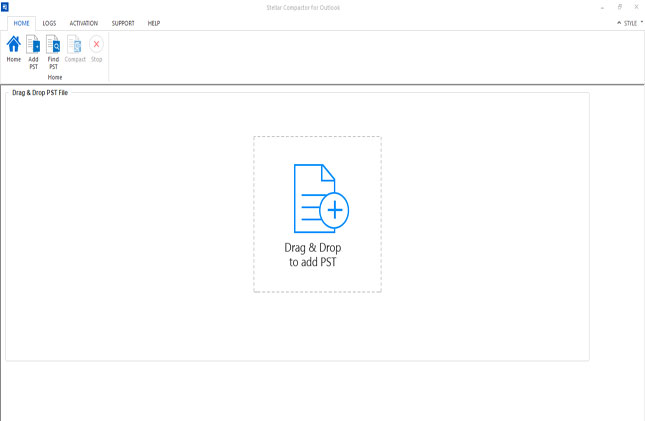 The Compact PST option separates the attachments from the mail body and save them in a separate folder. This helps in reducing the PST file size to a maximum extent, hence avoids any chance of corruption. This option also allows you to schedule the process of compaction of the PST file. 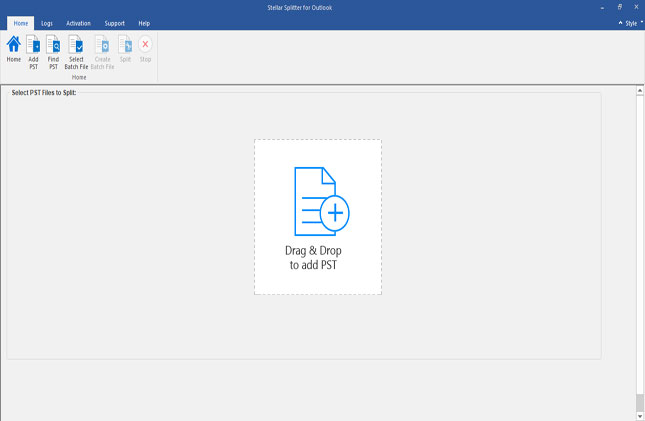 With this module, users can merge or join multiple Outlook PST files into a single PST file. 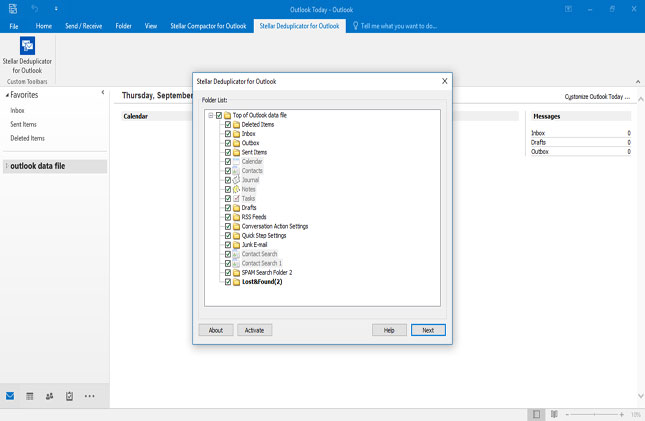 The software easily merges all components of MS Outlook mailbox like emails, contacts, notes, calendars, Journals and Tasks. It also supports password protected Outlook PST files. Password protected PSTs are more secure as compared to the unprotected ones. However, if you lose or forget the password, it would land you in deep trouble. With the password recovery option, losing PSTs password is no longer a nightmare. The software is capable of accurately recovering the password and provides six different passwords to work with. It is yet another way to reduce the size of the PST. By reducing duplicate mails from the user mailboxes, the software enhances the performance of MS Outlook. The software acts as an MS Outlook mailbox manger by searching duplicate mails based on different time ranges. The detected duplicate mails could be either marked as 'Expired' or can be moved to another folder. 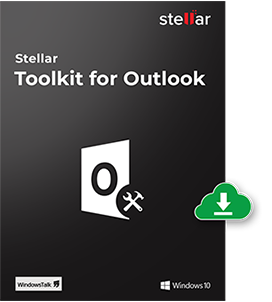 * The Free Demo version of Stellar Outlook Toolkit only works with limited functionalities to avail the full features; you need to register the full version of software. Step 1: This is home interface of software. Select the desired action from the Option available. 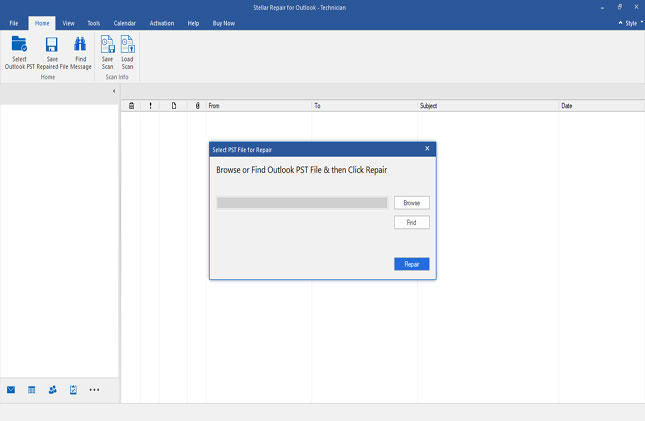 Step 2: Repair corrupt MS Outlook PST file. 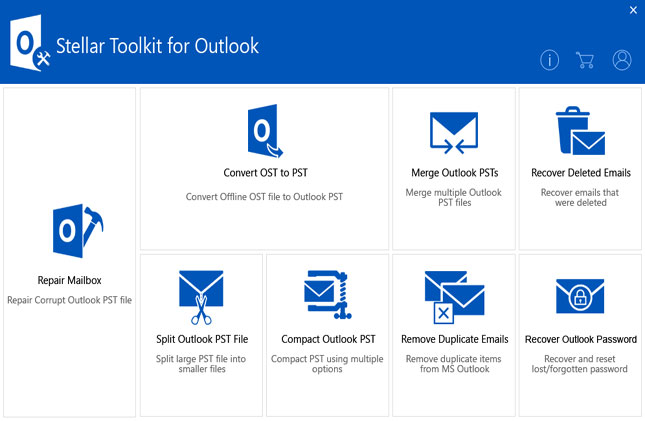 Step 3: Convert Outlook OST into PST File. Step 4: Merge and Join multiple Outlook data (.pst) files. Step 5: Recovers accidentally deleted/lost emails from OST and PST file. Step 6: Split large PST files into two or more parts. Step 7: Compact large PST file and reduce its size. Step 9: Recover lost or forgotten Outlook PST File module. Now, we have full control over Outlook email application due to excellent software suite. This software helps to manage all corner of email application like PST management, password recovery and merge PST files. Que: What should be the minimum system configuration to use this software? Answer:In order to install and use the software in a hassle free manner, there are certain minimum requirements that you need to ensure for the software to run as mentioned below.